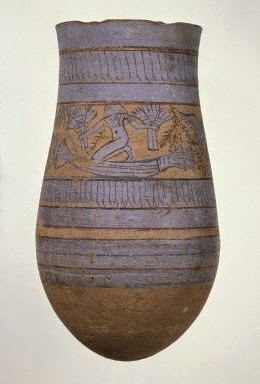 Tear Drop Shaped Vase with Painted Designs of Maidens, Cows, Swamp Plants, etc. 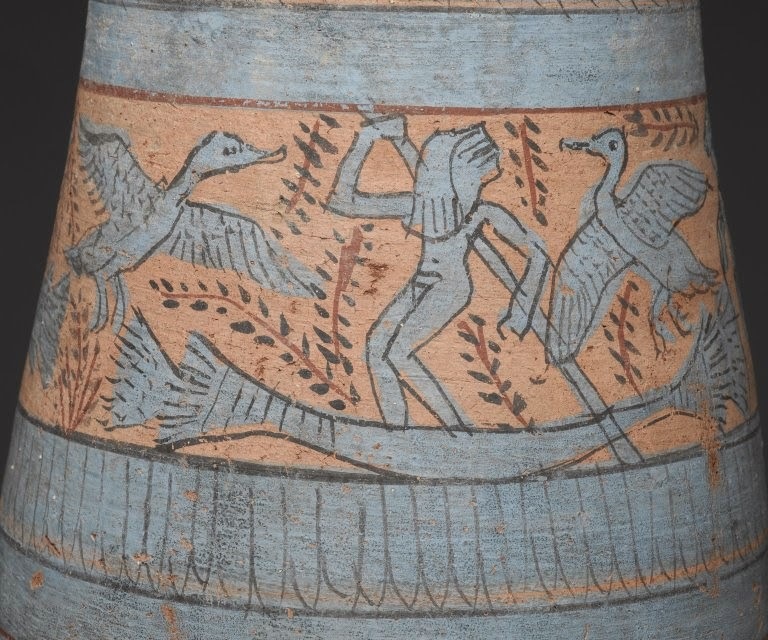 During the reign of Amunhotep III, light blue was the most popular color in the artist's palette; it may have been the King's favorite color. 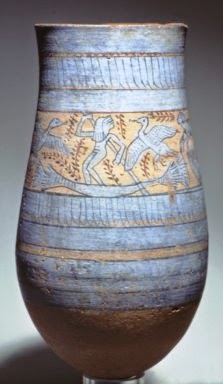 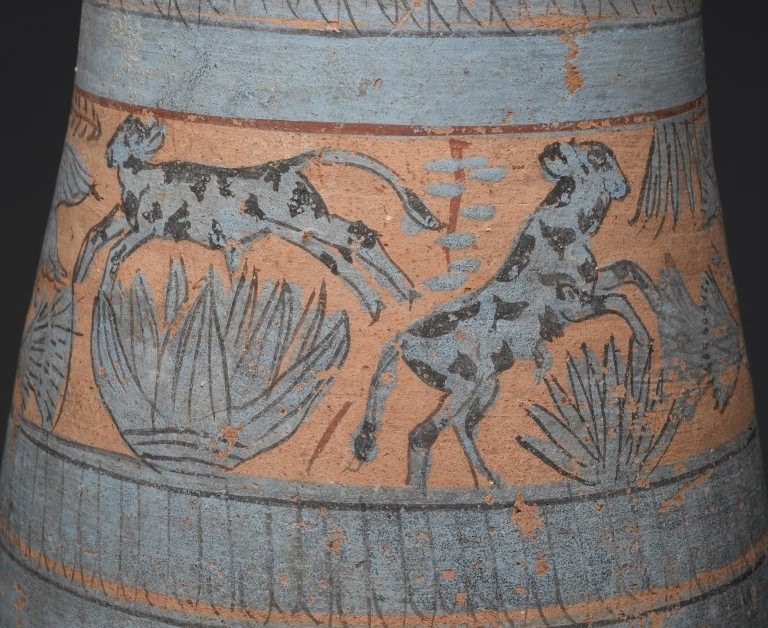 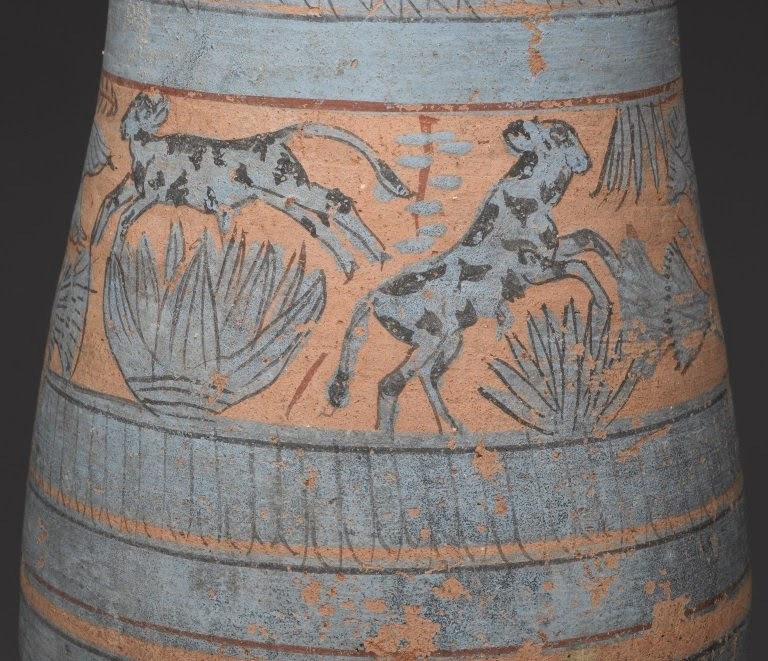 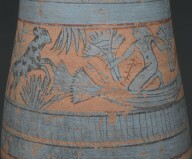 Craftsmen frequently decorated pots with cobalt blue paint. 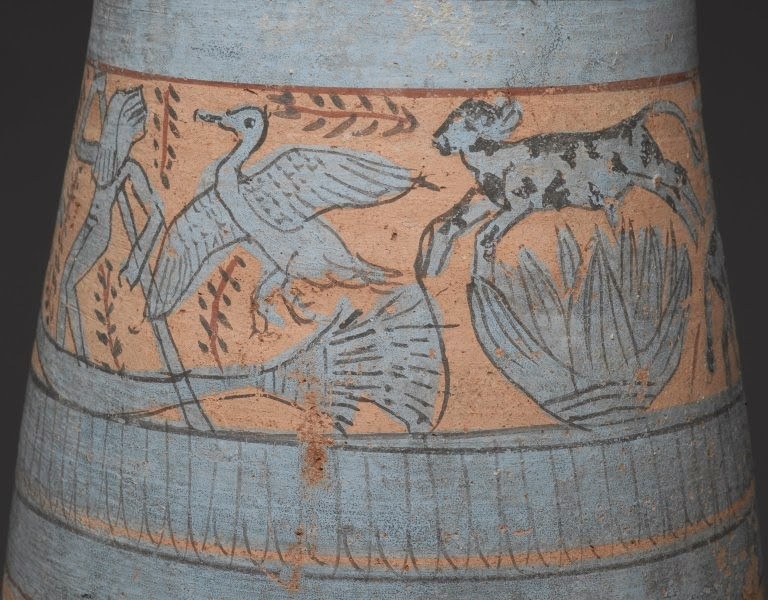 Some of the most complex examples depict marsh scenes, evoking the papyrus swamp from which the Egyptians believed the Creator god emerged at the so-called First Moment. 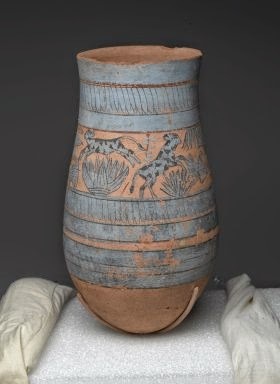 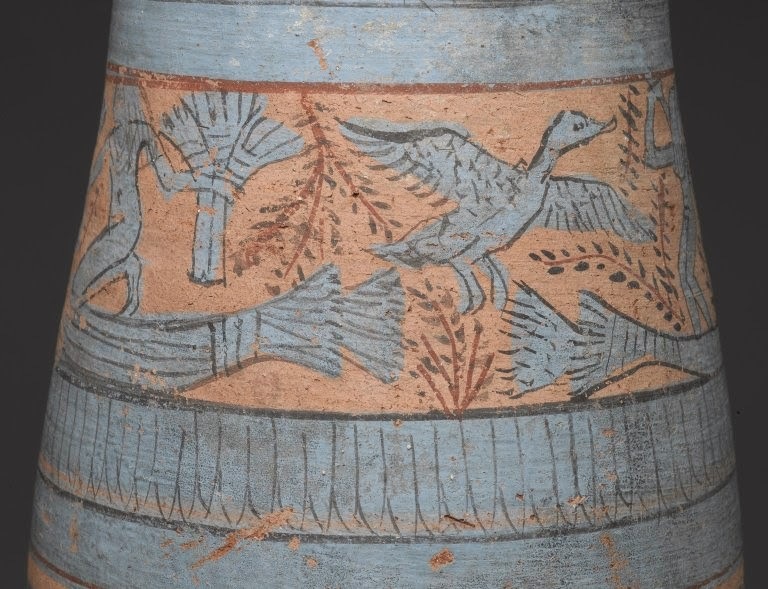 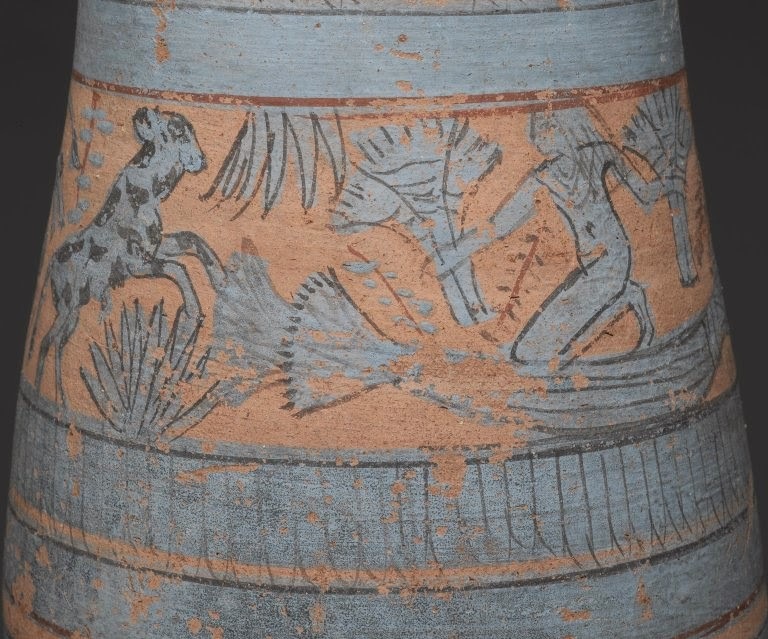 Blue-painted ware has been found in houses, tombs, and temples.